While Omega Supreme is being repaired, Hoist and Grapple take the opportunity to do some further maintenance on his upper tank encasement. Slammer patrols Omega's tread path along with Warpath. 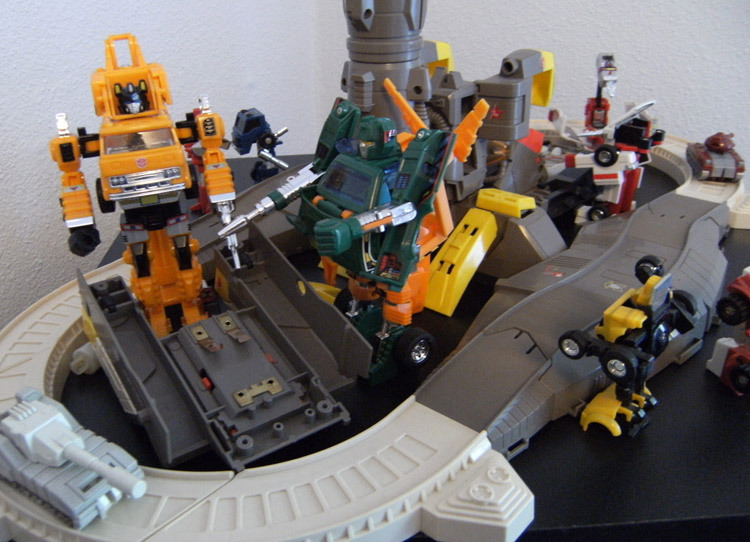 Featured: Omega Supreme, Grapple, Hoist, Slammer, Hubcap. Background: Pipes, Ratchet, Warpath, Swerve.